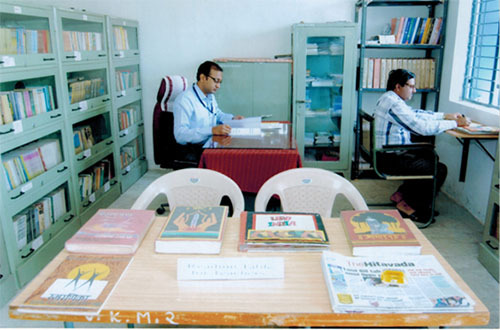 The college has a well-furnished and computerized library which contains 2000 books. It subscribes to various periodicals, Journals and newspapers in Marathi, Hindi and English. The library is installed with INFLIBNET Software. The library is attached with Knowledge Resource Centre containing facility of ten computers with wi-fi connectivity.